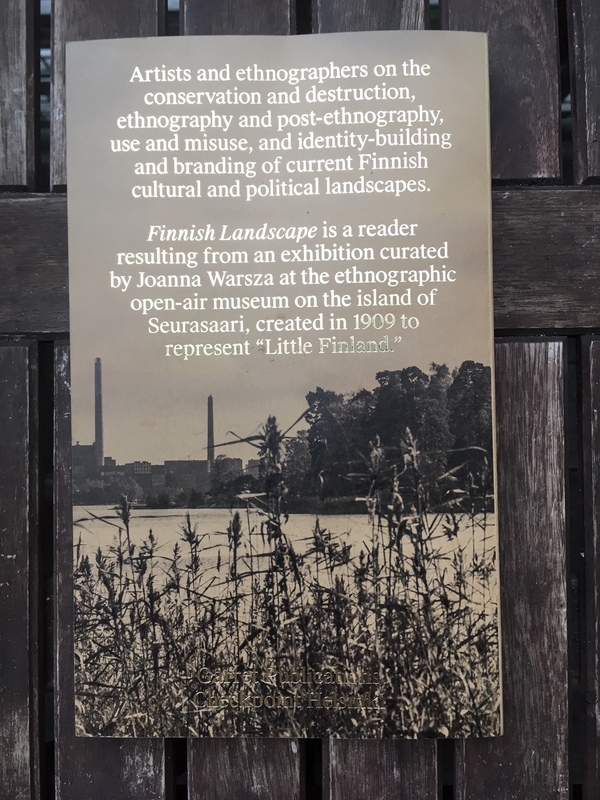 Finnish Landscape is a reader resulting from an exhibition curated by Joanna Warsza at the ethnographic museum on the island of Seurasaari. The Seurasaari Open-Air Museum was created in 1909 by the ethnographer Axel Olai Heikel out of a desire to represent “Little Finland”. 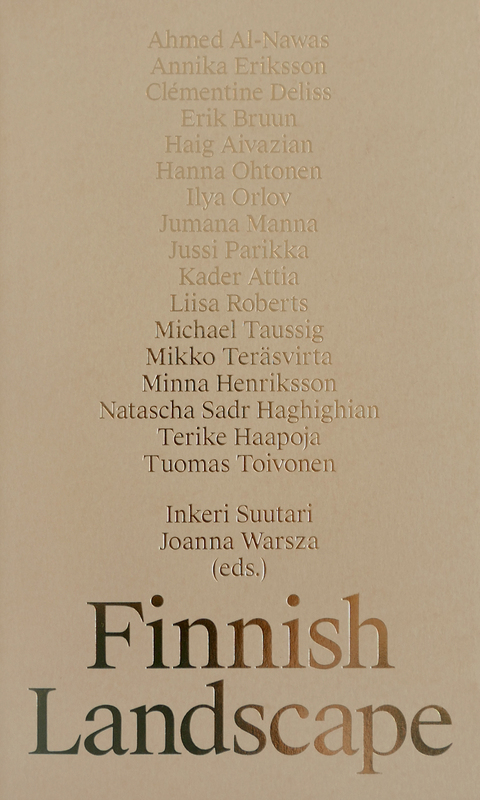 The exhibition Finnish Landscape was a response to the past present and future of Seurasaari featuring the contemporary artists Ahmed Al-Nawas and Minna Henriksson, Kader Attia, Annika Eriksson, Natascha Sadr Haghighian, Haig Aivazian and Jumana Manna, Ilya Orlov and Liisa Roberts. The commissions dealt with conservation and destruction, nature and culture, ethnography and post-ethnography, historical use and misuse, identity-building and branding of current cultural and political landscapes in Finland. The publication includes a series of interviews conducted by Hanna Ohtonen with the artists about their interventions as well as with curator Clémentine Deliss, who speaks about the need to remediate ethnographic museums. Artist and former chair of Checkpoint Helsinki board Terike Haapoja writes on the 'we' of Finns and Seaurasaari's Chief Curator, Mikko Teräsvirta responds to the contemporary art in the museum. Architect Tuomas Toivonen traces the ideological history of Seurasaari and anthropologist Michael Taussig, whose subjects usually involve the sun and light, contributes a piece on the the darkness in Finland. Erik Bruun's design work for the exhibition poster is reprinted in the book and media theorist Jussi Parikka closes the publication with his thoughts on the future of the museum. Finnish Landscape is the inaugural volume from Garret Publications, a Helsinki-based publishing house established in 2016 and dedicated to art, modern design and architecture with a focus on post-war Europe, particularly Finland and Scandinavia.